The worlds first ever Pink Flowering Star Jasmin - flowers of Trachelospermum jasminoides give a charming scent and can add a touch of Tuscany in a garden, but usually they are white in colouration, Pink Showers is a brand new, hard to find soft pink flowering form. 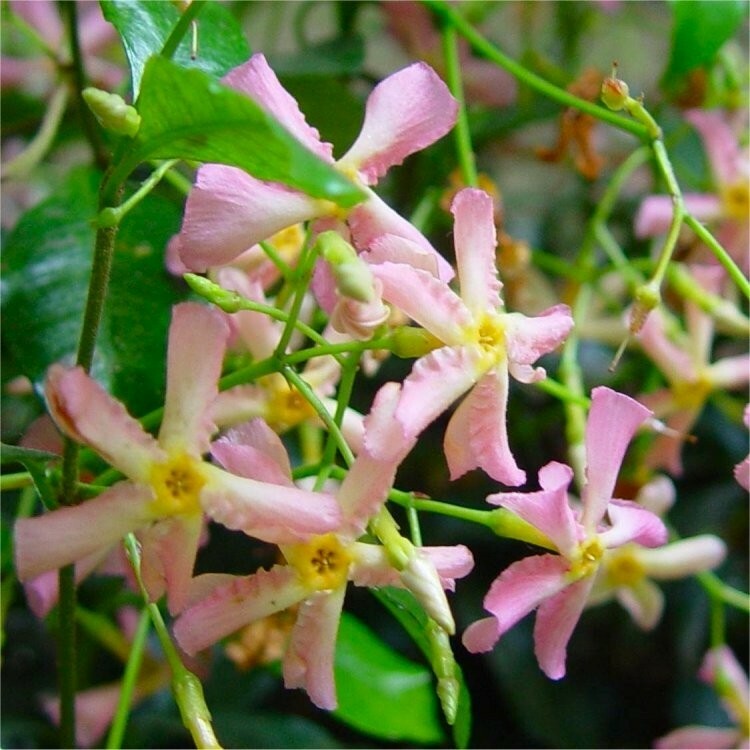 Trachelospermum will climb over fences, trellis, walls, arbours and more. Star Jasmine, or Trachelospermum is an attractive woody, evergreen climber with rich, dark green leaves which turn bronze in winter. Highly fragrant, soft pink flowers are produced from mid-late summer. It is best grown against a warm, sunny wall and is an excellent plant for adding a touch of scent and high-rise glamour into courtyards or climbing over fences and garden structures in a sunny spot. Especially lovely in warm sunny borders at the foot of a sheltered south-facing wall, this plant will thrive in well drained soils, and is particularly tolerant of hot summer weather where other climbers may flag. 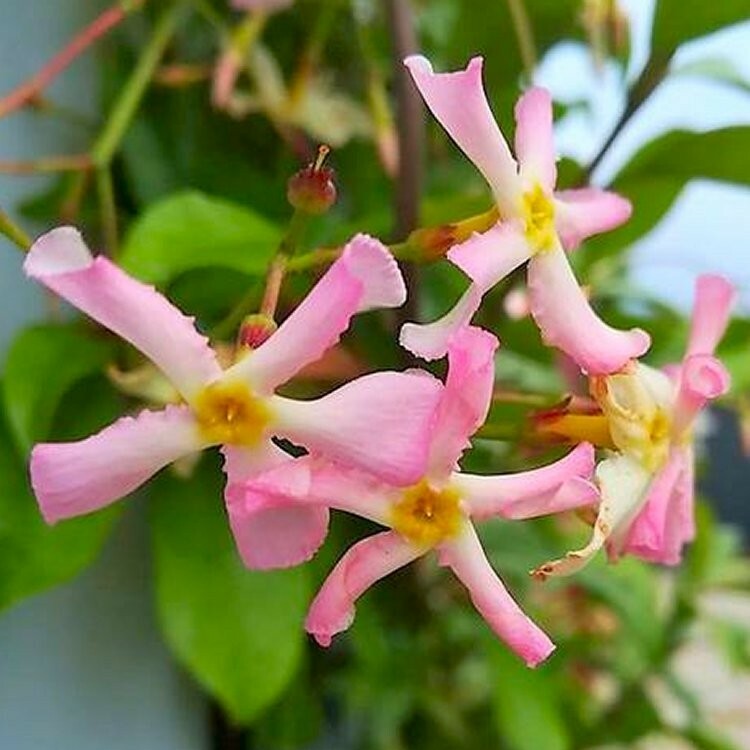 Great Value - this brand new Pink Flowering form of Trachelospermum will be Supplied full of buds and blooms in season, well branched and very bushy in approx 2-3 litre containers.